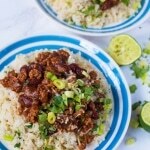 This sweet and smokey Chipotle Pork Chilli with Popped Beans is a great big batch dish and perfect for feeding a hungry crowd. 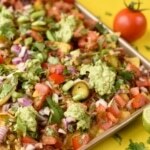 The leftovers freeze really well, meaning you can have a healthy and filling meal waiting in the freezer for you. Crab and avocado are both such light and fresh flavours that they pair together beautifully. 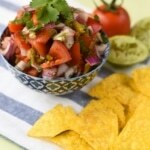 Think outside the box for your next Mexican night and make these Californian inspired Crab and Avocado Tacos. 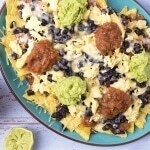 Whether being made as a game day dish to share, or as a quick and easy comforting dish that you can throw together, these Chipotle Black Bean Nachos will give you a kick of spice with a protein punch. They are so good that you won’t want to share them! 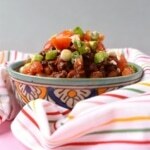 This Chipotle Black Bean Stew is about as simple as healthy comfort food gets. It’s one of those dishes that you just throw everything in to a pan and let it bubble away, and let the delicious smells fill your kitchen. It’s also really easy to adapt, to suit all tastes. 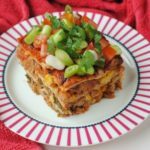 A fusion of two of the best cuisines in the world, Mexican and Italian, this Mexican Lasagna has all the layering that you would expect from an Italian lasagna, but bursting with Mexican flavours.